The RMX-1000 serves up all the possibilities of studio effects and beatboxes, with the added physicality of pro-DJ equipment. Intuitive performance interfaces from our flagship mixers and effectors – such as the DJM-2000’s Isolator FX, the DJM-900nexus’s X-Pad and the EFX-1000’s multiple FX chaining – have been evolved and brought together into one unit. 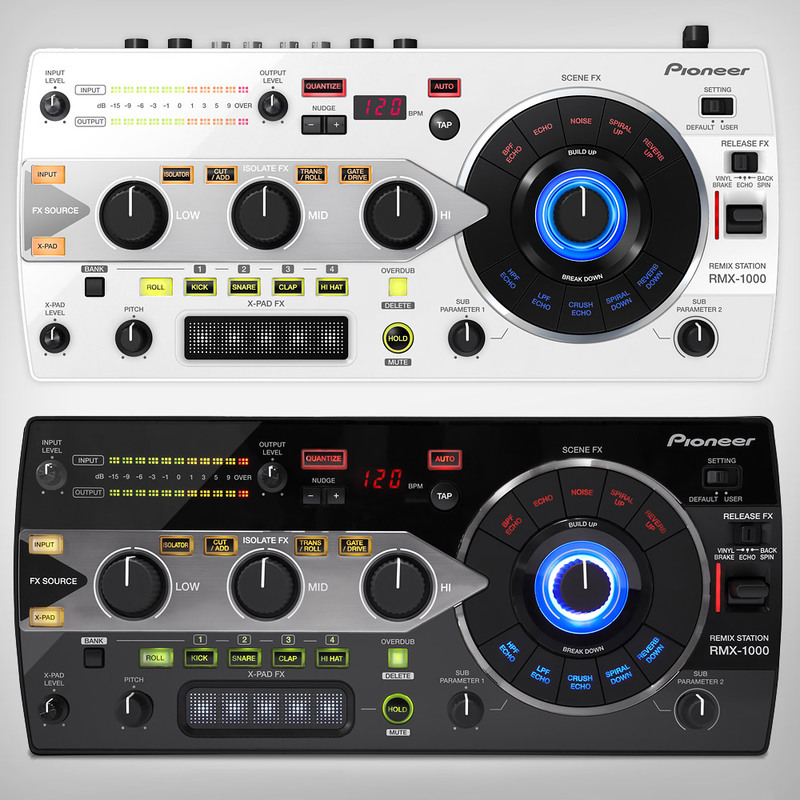 Simplifying these concepts even further, the RMX-1000 uses intuitive DJ controls to manipulate several parameters in macro. 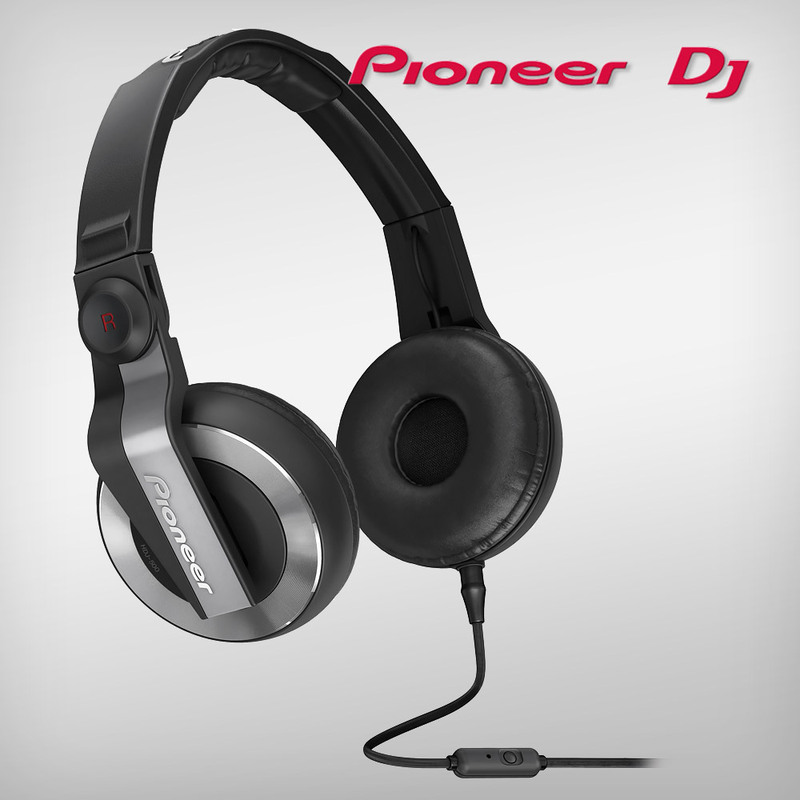 While the unit is incredibly simple to operate, you can still create a totally unique sound with Pioneer’s remixboxT editing software. 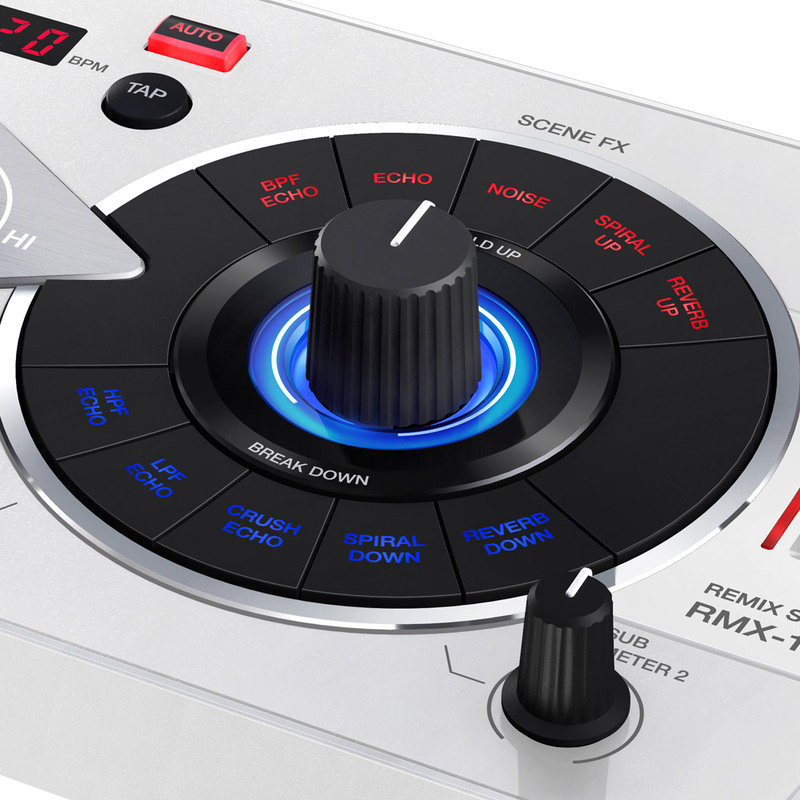 remixboxT allows you to completely customise the RMX-1000 hardware to your own performance style and load it up with your own banks of samples. 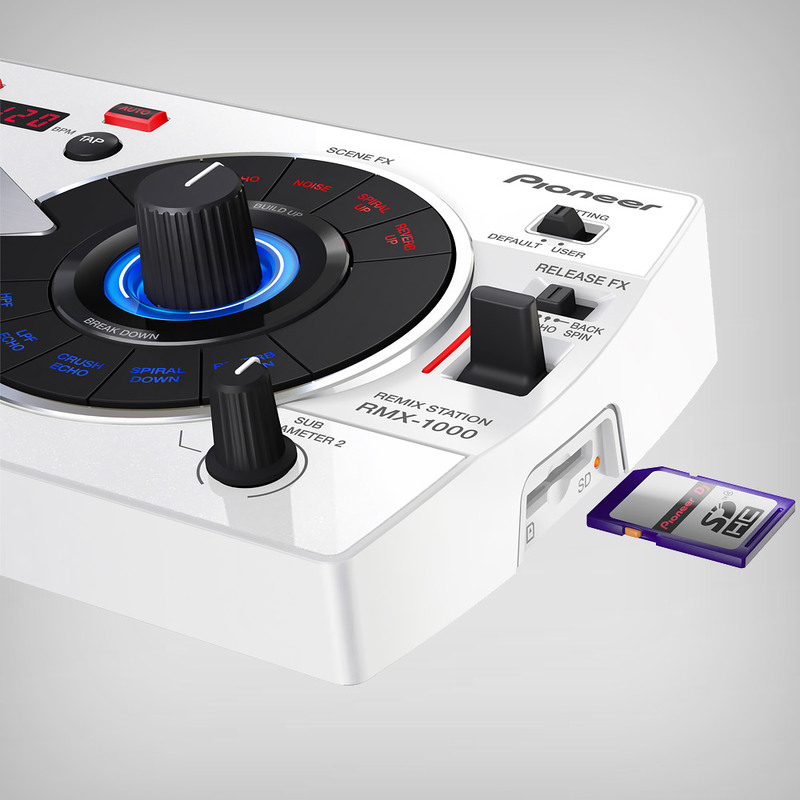 Using the RMX-1000 as a USB controller for the included RMX-1000 VST / AU plug-ins gives DJs the same hands-on feel they get with studio DJ mixes, to breath new life into studio productions and save them from hours of editing. 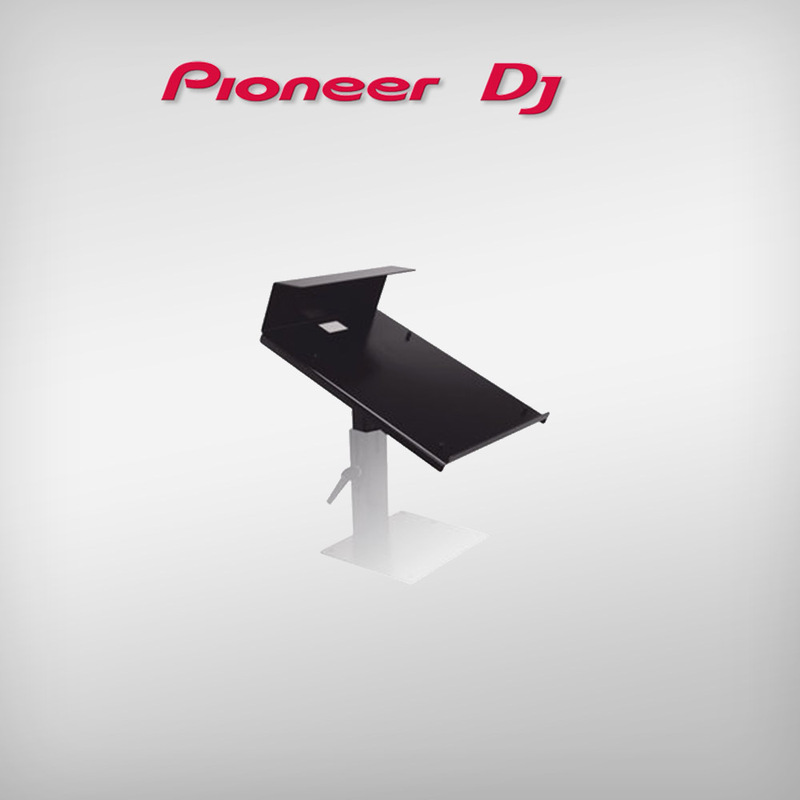 Use the software to modify the unit’s features and change its parameters for a truly personalised DJing experience. 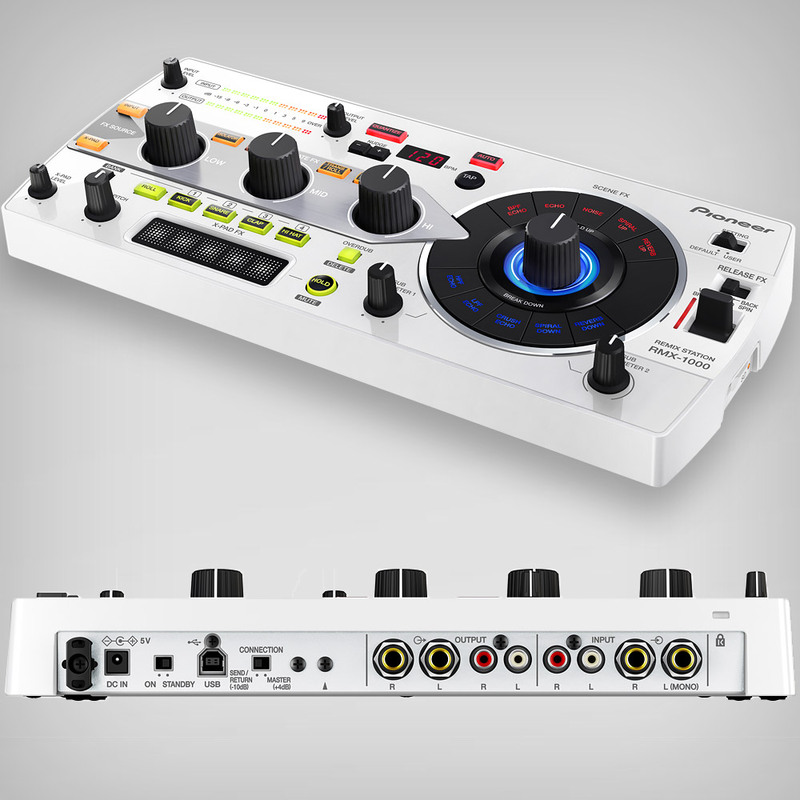 Hover your mouse over the remixbox’s virtual RMX-1000 to edit features, change parameters or adjust effects on the hardware itself. 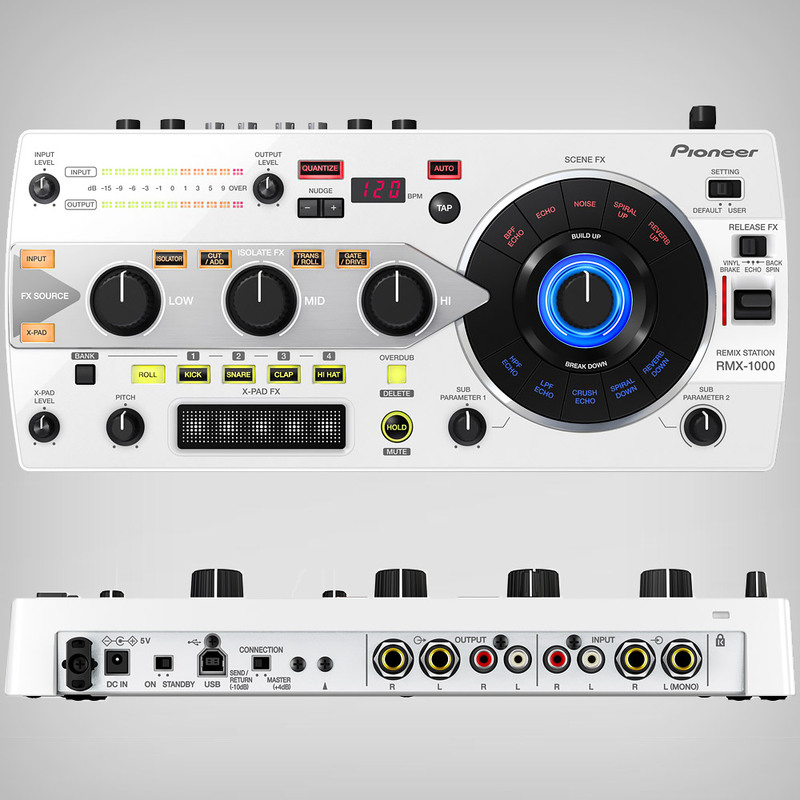 As the first VST/AU controller dedicated to the DJ industry, the RMX-1000 brings the operability of hardware into the recording studio. 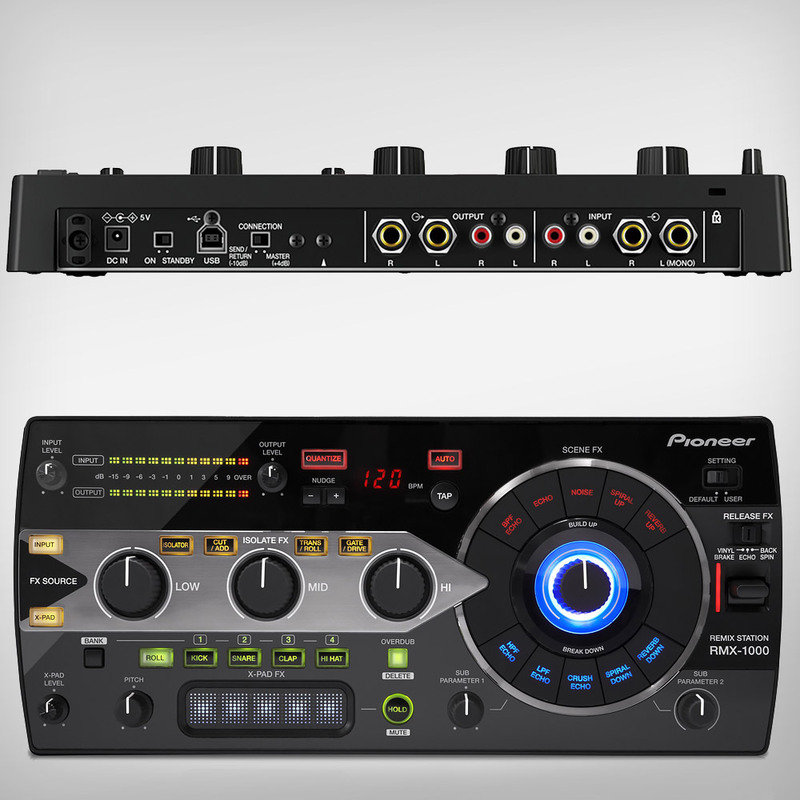 By plugging the unit into a laptop, the RMX-1000’s dedicated controls can be used to manipulate the VST/AU’s exciting features. 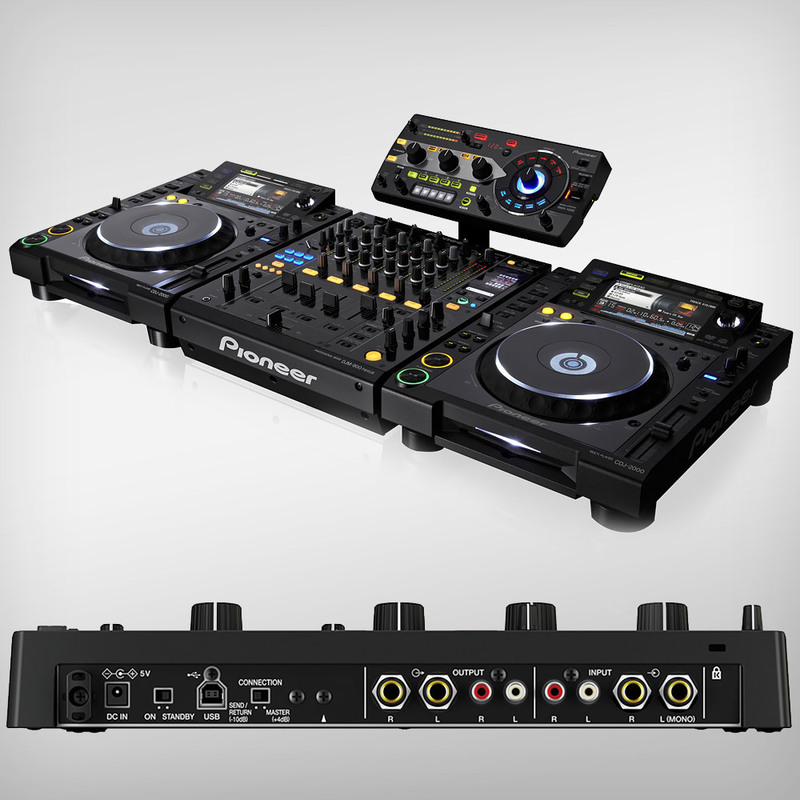 The RMX-1000 can be used with mixers, CDJs and laptops in the booth, or with a PC in the studio for recording and producing. alter the pitch and add even more character to each repeated beat. Seamlessly exit complex effect combinations and return to the original track. 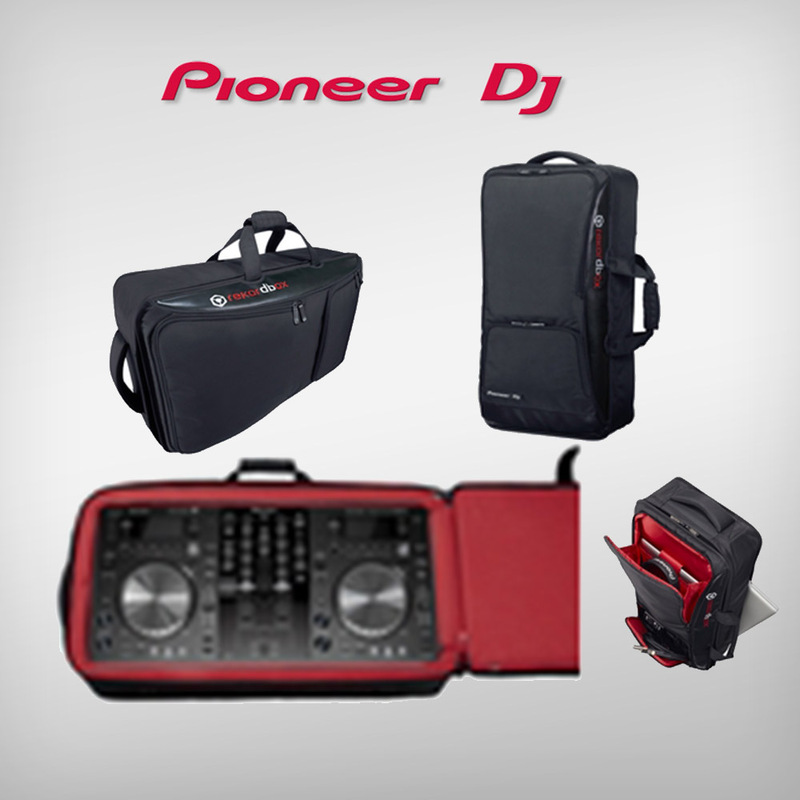 Back Spin Echo and Vinyl Brake allow you to choose exactly how to return to normal play. 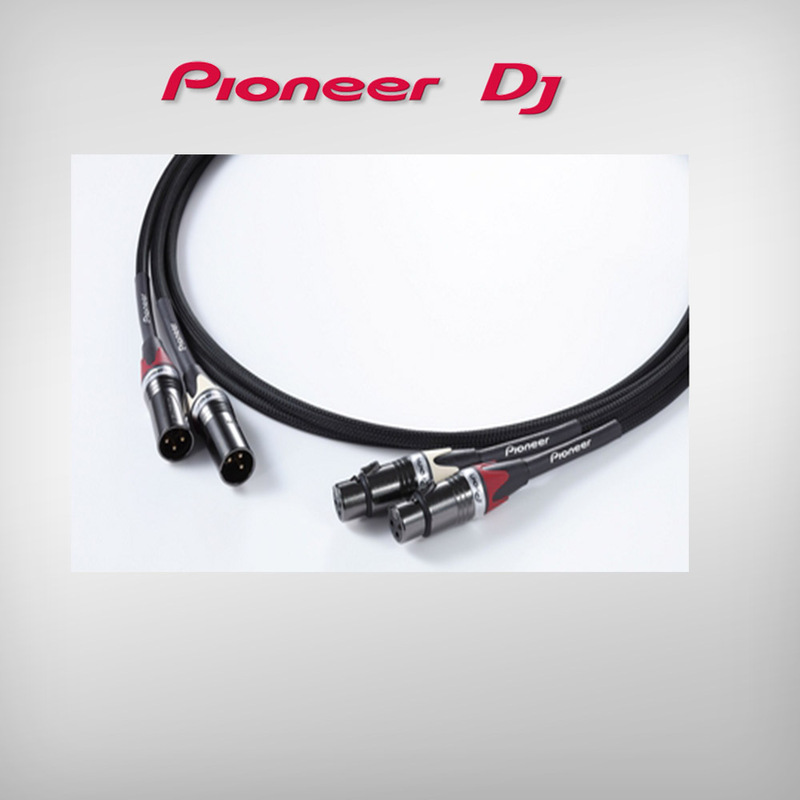 Change the main audio input rhythm and timbre using hi-mid and low-frequency bands. 3 effects are loaded into the dials for even more flexibility: Cut/Add, Trans/Roll and Gate/Drive. Build up and break down tracks by combining ten types of effects. Use the top section to build with effects like Noise, Echo and Spiral Up or the bottom section to break down, cutting sounds with Crush Echo, Spiral Down or Reverb Down.